When they say Generation Y is set to take over the world, it’s no joke. The twenty-something demographic is making its mark on the economy – not only as the buyers of the world, but also as the employees of the world. With Gen Xers heading towards the managerial and executive age, and baby boomers heading for retirement, 76 million Gen Yers are storming our small businesses and larger companies with great expectations that include a long list of work-related demands. The most important of these demands is work-life balance. For Gen Yers, the line between work and home doesn’t really exist. They just want to spend their time in meaningful and useful ways, no matter where they are. They want to be remembered for doing big things and making the world better. Believe it or not, that’s what they really want. Gen Y workers are willing to lose their jobs if they no longer find meaning in the work they do. Personal fulfillment and work-life balance is the biggest deciding factor when choosing employment, ahead of compensation, benefits, corporate sovereignty and goodwill. Therefore, it is important for businesses to actively engage the younger workforce in order to retain them, as they are indeed the leaders of tomorrow. One might draw the conclusion that the Generation Y demographic is made up entirely of needy, over-zealous and demanding youths who don’t understand what hard work really is, nor do they even care. But guess what? Generation Y is in fact passionate, talented and highly ambitious – they want to stretch, learn new skills, and contribute to great causes – but they also want a life. They want balance, to have fun and be part of a great team! But if their managers do not understand what they really need to thrive at work, their ‘I want things to happen fast’ attitude is often perceived as entitled, arrogant and unrealistic. The key is not to patronize these savvy youths with perceived thoughts that they don’t know what their doing or better yet, don’t want to be doing it at all. On the contrary, these people want to be challenged! This is a generation that grew up with technology in an overindulged culture. They think fast, work fast, and want to be engaged with challenging opportunities. They’re also quite ambitious. They want opportunities to advance. Ask around and you’ll find that many of them have their sights set on being a company VP or even President someday, and sooner rather than later. They want to work for companies that can partner with them to help them achieve their goals – short and long term. Generation Y is the most educated generation in history. They love to learn and stretch their minds. They want to know that they contribute to the company’s bigger picture and goal. They want to know that all their work actually counts for something. If your company has a mission and vision, it’s Generation Y that’s quite apt to pay attention to it. First: This is a generation who has always known TV stations devoted entirely to them (Disney and Nickelodeon when they were kids, ABC Family as teens and young adults). Second: The digitalization of the music industry has trained them to listen to and purchase only the songs they want. Third: Shopping sites like Amazon let them buy just about anything, whenever they feel like it. Lastly: Generation Y was practically born with a cell phone already clutched in their hand and iPod headphones attached to their ears. Those early flip phones and iPods have now morphed to become smartphones. Gen Y has been taught to expect customization. With every passing month (it would seem), marketers are gaining more opportunities to reach this seemingly elusive audience. It just requires some outside-the-box thinking. But, just because they’re open to many types of these ‘interactions’, don’t bombard them. Be relevant with your approach and your brand will have many opportunities to interact with this coveted demographic. Be strategic. Smart marketers will remember that Generation Y wants to choose the companies they hear from on Facebook and subscribe to email and text alerts. And in order for that to happen, marketers have to offer something of value. 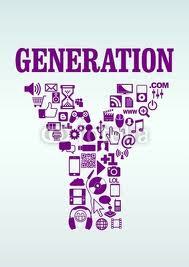 Remember, Generation Y is savvy to the world of marketing. They’ve been actively marketed to for as long as they can remember and they get why it has to happen. But, what they won’t tolerate is marketing that doesn’t make any sense to them. They may be open to several forms of communication from companies, but only if they’re relevant and speak value.